The Mountain Buggy Duet is a twin side-by-side stroller that’s so slim, that you’ll be able to go places you never thought you could in a double buggy! 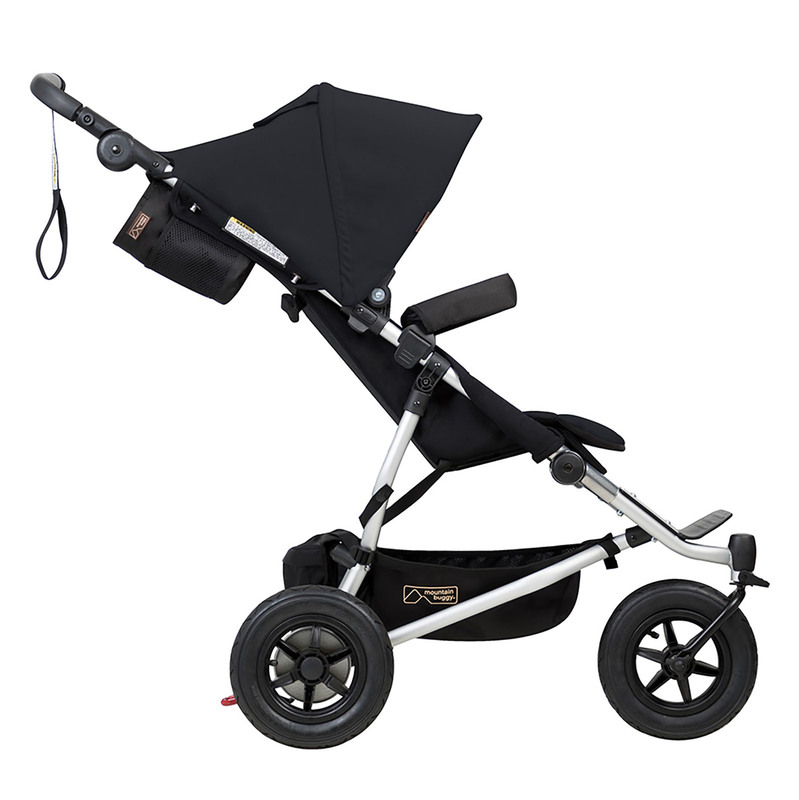 At just 63cm wide, the Duet is no wider than a single stroller and is very easy to manoeuvre. Lightweight at a mere 14.7kg and engineered to offer impressive ‘kerb-pop’ functionality, the Duet requires less force to ‘pop’ up the front wheels, making trips through the city an absolute breeze. With an upgraded folding mechanism, the Duet can be folded with just one hand and can conveniently be left stood upright keeping the fabrics off the floor, perfect for city cafes and compact storage spaces. 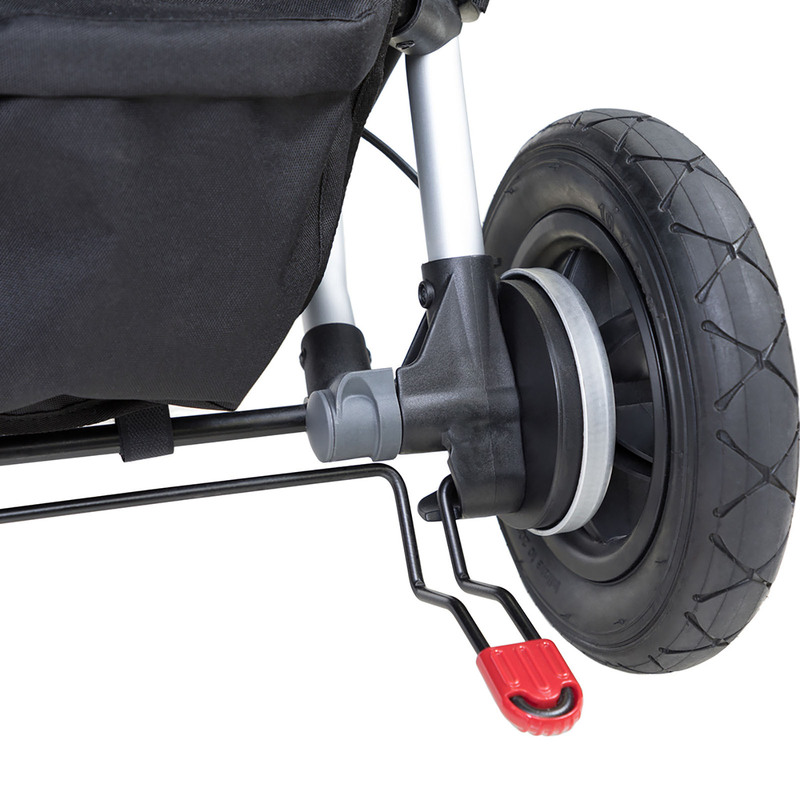 For comfortable pushing, the handle can be adjusted to suit users of different sizes and the 10” air-filled tyres are great at absorbing all the little bumps in the road. Lock the front wheels straight for stability across uneven terrain, or switch to swivel for ultimate manoeuvrability. The Duet has it all. 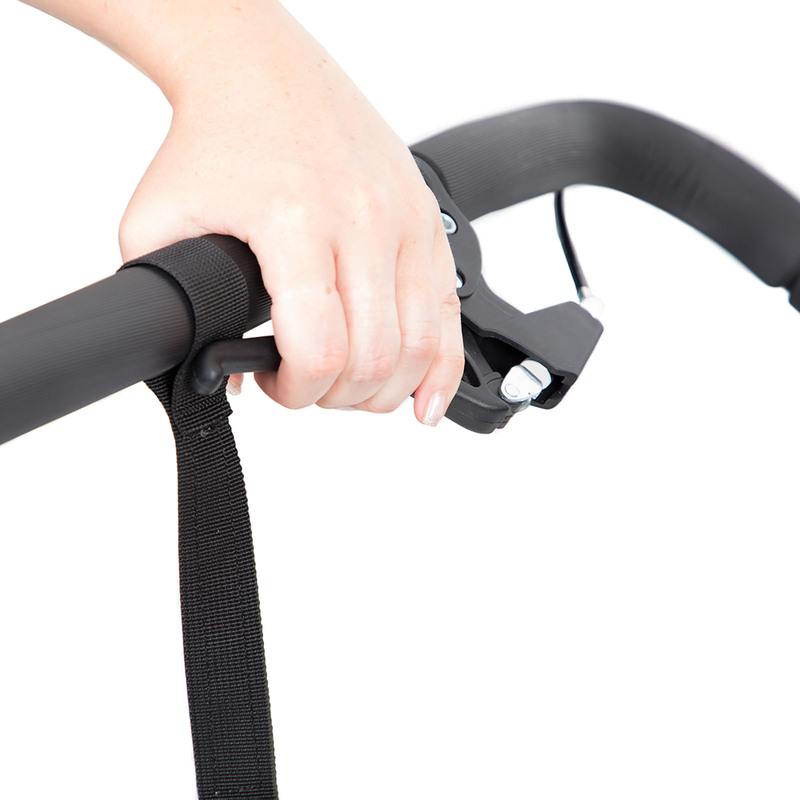 The duet buggy now even features a hand operated control brake for slowing down, providing additional confidence and superior handling when pushing the extra weight of two, whilst jogging or going down slopes. Featuring an easy to adjust harness with non-slip shoulder padding, the Protect car seat has been specially designed to maximise convenience and minimise disturbance to your baby for happier parenting. As a group 0+ infant carrier, the Protect (2 included) is suitable for newborns and features a cushioned insert which can be removed when your child grows a little bigger. 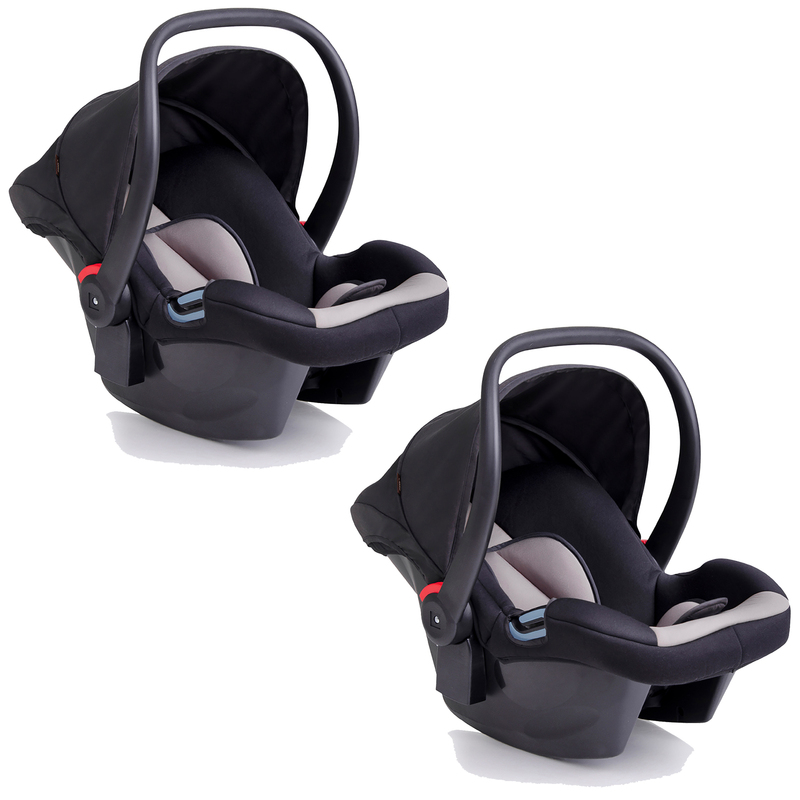 Easy to lift thanks to the Protect's light weight (3kg) and ergonomically shaped handle, the car seat can easily be transferred from car to buggy and offers maximum comfort for carrying in your hand. High sides and thick EPS foam provides the ultimate in protection and comfort and the Protect can be installed in your vehicle using the standard adult 3 point safety belt or can be clicked into a choice of 2 safety bases to minimise disruption further (safety bases sold separately). 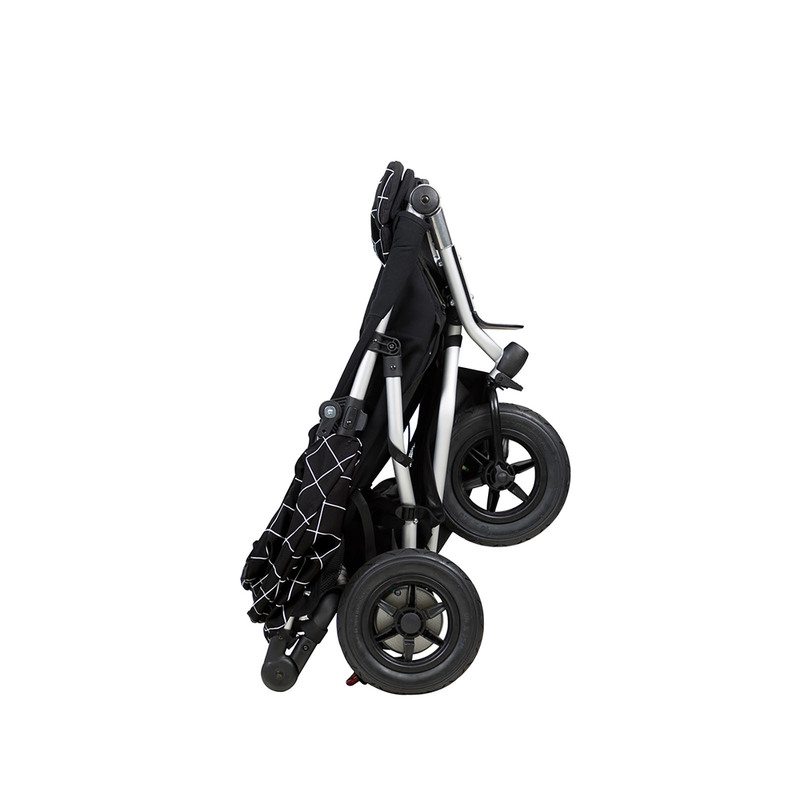 Ultra slim twin buggy frame 63cm / 25in - same width as a single buggy!